Greater Wellington Regional Council’s (GWRC) hydrology team maintains a flood warning network throughout the Wellington Region. Due to the remoteness of some of the sites we rely heavily on solar energy as our primary power source. 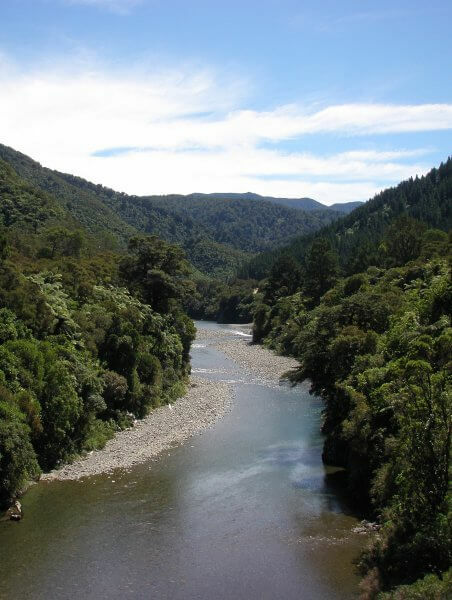 Two of our sites, the Waiohine River and the Mangatarere River both have difficulty using Solar energy. Both sites run an HS-40 bubbler unit, a radio and a logger. The bubbler draws up to 30 Amps once every 18 hours for 16 seconds and the radio draws up to 7 Amps for several seconds every 15 to 30 minutes. The rest of the time it is in idle mode 50 mAmps. There is also a minimal draw from the logger (150 FX Datalogger) 1-0.5mAMP5. Solar wasn‘t enough for our Mangatarere Site, in the winter and we used a thermoelectric generator (TEG) to supplement the site. At the Waiohine site we only used the thermoelectric generators. In the past we’ve used TEGs, which have been very effective as an alternative power source. Although effective the thermoelectric generator has aging technology and has proven difficult for servicing in New Zealand. Having researched the alternatives, the EFOY has been a viable alternative. 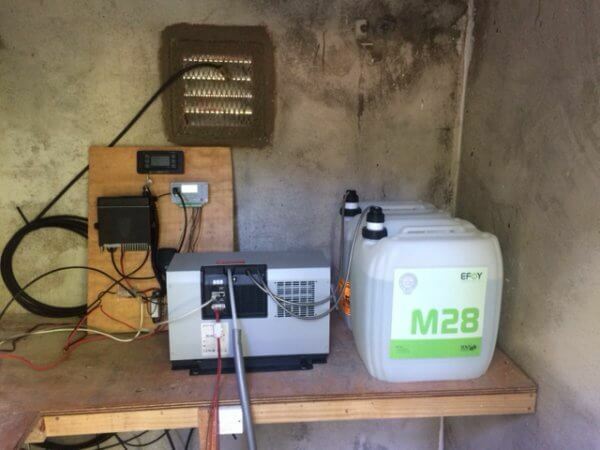 Two EFOY Pro 800 fuel cells are in use, one at each site. The are installed in a small waterproof shelter. We have a reliable energy supply to our site. We don’t have to replace heavy gas bottles any more, which has been a saving in both time and money. Due to the EFOY’s compact nature we have been able to secure them within the recorder hut. The EFOY’s have proven very efficient, reliable and fits our purpose well. The EFOYs are installed in a recorder hut and connects directly to the battery in the place of a standard charger or a TEG. 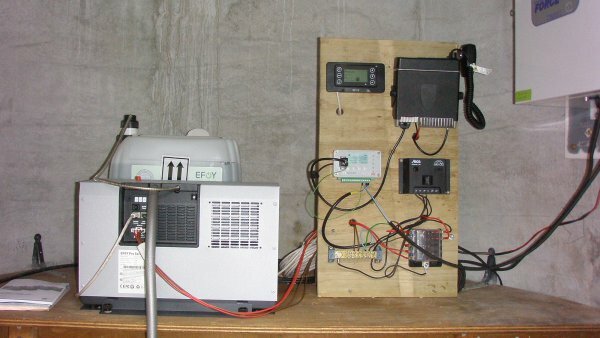 Two EFOY Pro 800 fuel cells are in use, one at each site. The are installed in a small waterproof shelter.